The 1 seres is a sporty car from the factory, but upon driving, most of us wish that even the sport package had just a tad more "M Car" in it. 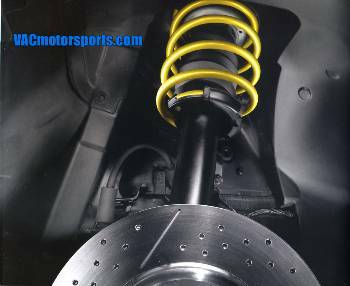 This set of matched Springs and Dampers ensures that your BMW still rides comfortably and safely, but with a sporty "///M" edge missing from the original factory tune. Unlike after market kits, this setup is sure to increase the value of your 1 series and differentiate it from the rest while keeping warranty and excellent BMW OE quality.